Add storage to complete your home office and make room for necessities such as a printer with this credenza. 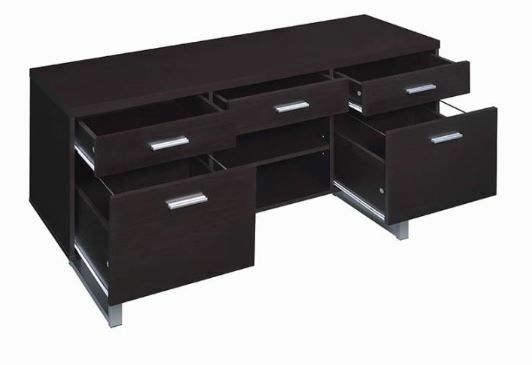 It offers five drawers and two shelves for storage. 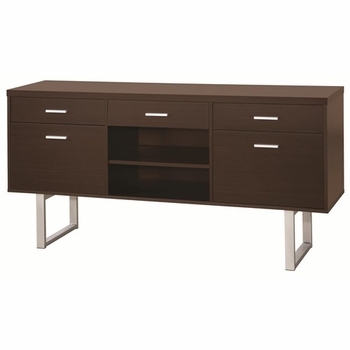 A rich cappuccino finish and silver-powercoat finish sled legs and modern bar handle hardware add up to a great look for a contemporary home office.